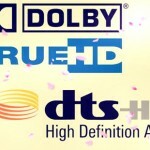 1080P HD video has become the past, now the era of 4K has arrived. However, not all display can support the smooth playback of 4K video, except the iMac Pro. 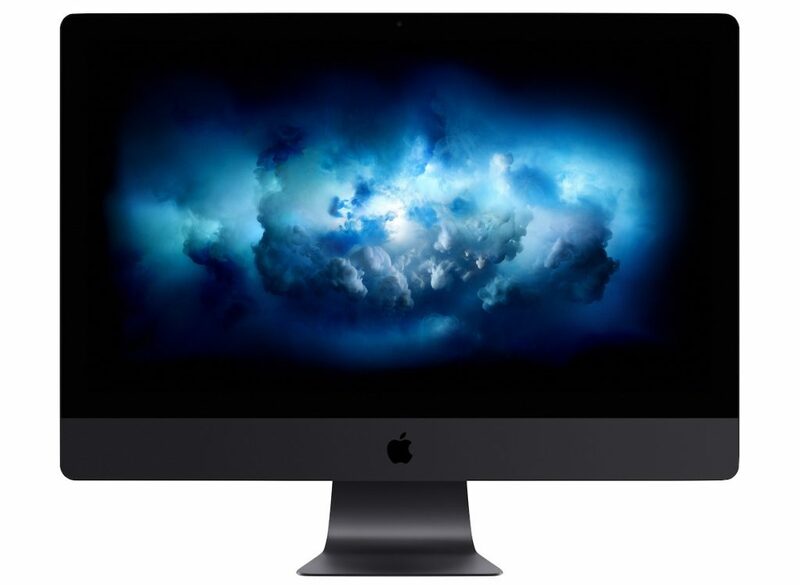 The new iMac Pro is packed with the most poerful graphics and processors ever in a Mac, along with the most advanced storage, memory, and I/O — all behind a breathtaking Retina 5K display in a sleek, all-in-one design. 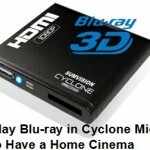 With this splendid computer, you can watch enjoy 4K video on it with high level enjoyment. However, 4K video could be from anywhere: downloaded from Youtube; captured with Panasonic/Sony/Canon UHD camcoders; outputed from non-linear editing software; shot by DJI drones…All of the 4K videos may be wrapped in different video container, like MP4, MOV, AVCHD, MKV, and others. So to ensure that your iMac Pro can play 4K video in any video formats in any codec, a super 4K video converter for Mac is necessary. 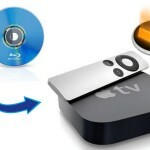 To sum up, formats supported by or compatible with Mac cannot be considered as the best formats for Mac. 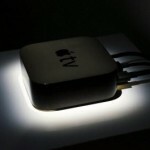 The best video formats for Mac are MP4, M4V and MOV. Therefore, when playing video files or syncing video files on a Mac Pro, MacBook, iMac or MacMini, you’d better make sure that the videos are in MP4, M4V or MOV format. Pavtube iMedia Converter for Mac （to get Windows version）is such a perfect 4K video converter, 4K Blu-ray ripper, you can import common video, like 4K MP4, 4K MOV, 4K MKV, 4K AVCHD,4K M2TS, 4K MTS, 4K M2T,etc to it, you also can load common 4K Blu-ray movies into this software and convert them to 4K H.265/H.264 MP4, 4K MOV, 4K M4V for playback on iMac Pro. Moreover, you also can output the optimized device presets with the best settings, like iMovie, Final Cut Pro, Final Cut Express for importing into those editing software for postproduction. Step 1. 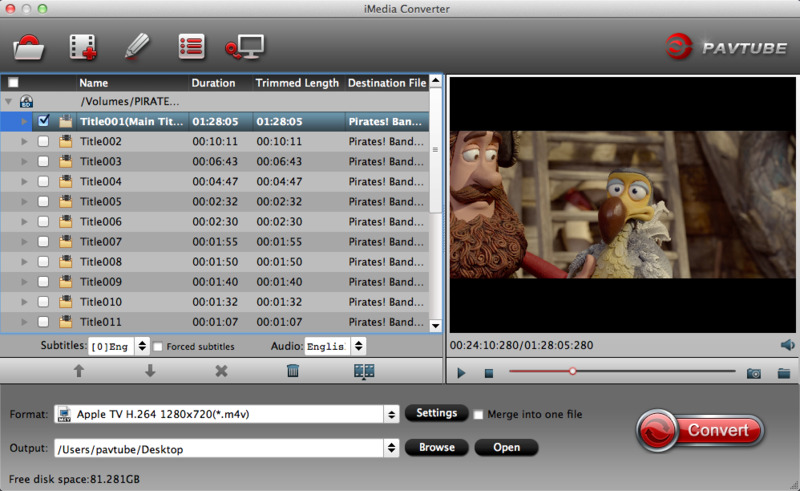 Download Pavtube iMedia Converter for Mac, click "FIle" to load 4K videos, you also can directly drag or drop the multiple 4K videos into this software. Batch conversion is available here. Step 2. 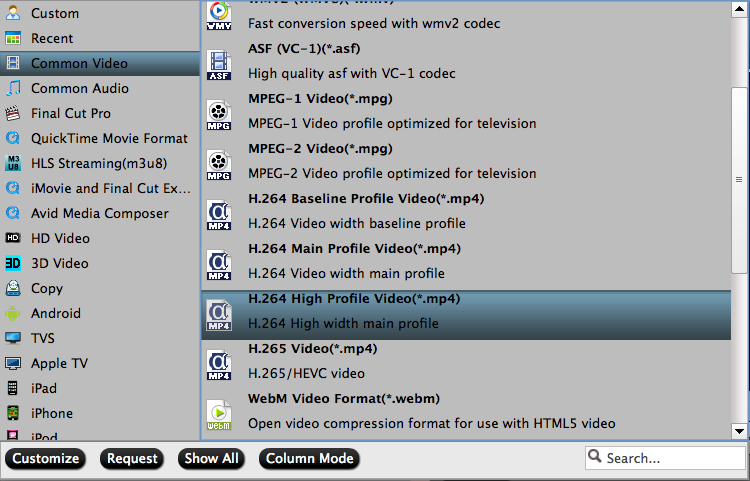 Click "Format" bar, and navigate your cursor to "Common Video" and select "H.264 High Profile Video(*.mp4)" or "H.265 Video(*.mp4)". 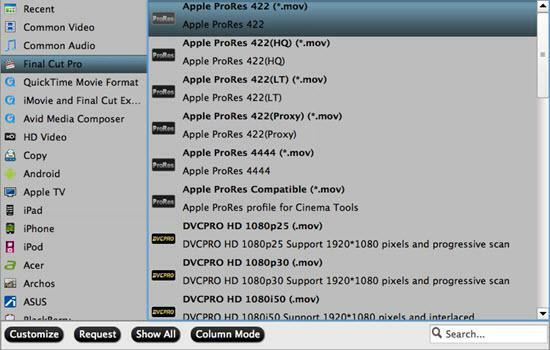 Tip: You also can output "Apple ProRes 422(*.mov)" for importing into Final Cut Pro for further editing. Step 3. Then in "Profile Settings" window, you are able to adjust video parameters as below shotscreen show you. To keep the output video in 4K resolution, you just need to keep Size(pix) as 3840*2160. 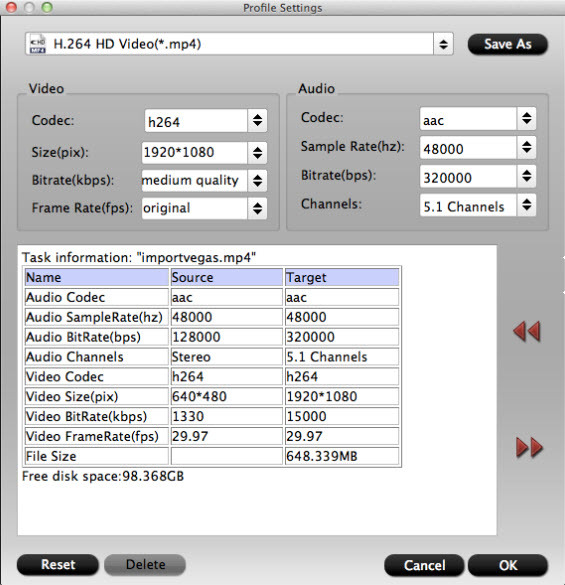 If you need to compress 4K to 1080p, you can change resolution from 4k to 1080p. Step 4. When you have done all video settings, return back to the UI and press Convert to start the 4K to iMac Pro conversion. When it is over, go to the output folder you just set to get the converted file.